I'm retired from the DOE of NYC after working with them for 26 years. 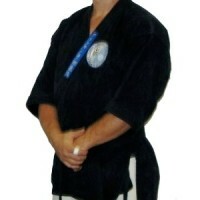 I'm also a martial arts teacher and a physical fitness instructor. I love to teach an help people build an online business. I live in Manassas, Virginia. I want to live life on my terms and help people become financially independent. Haven't been here for awhile, just wanted to extend a digital handshake to everyone. Turn $100 into Tens of Thousands!